Canyon, Texas (population 13,222), is in the Texas Panhandle 14 miles south of Amarillo and serves as the Randall County Seat. Canyon boasts a rich history based in cattle and ranching, and a heritage rooted in the pioneer spirit of the West. The first settlers came in the late 1880s, and many were Confederate Army veterans. When the railroad arrived, Canyon became a major shipping point for cattle and cotton and the city was incorporated in 1906. Strong growth continued even through World War I and the Great Depression. After World War II, the economy continued to depend on production of wheat, sorghum, dairy products, and livestock, as well as on West Texas A&M University. As the gateway to Palo Duro Canyon State Park; the site of the largest history museum in Texas, the Panhandle Plains Historical Museum; and home to the longest running outdoor musical drama, TEXAS, Canyon has become a destination for visitor from around the world. The production started in 1965, and it has since become the most attended outdoor drama in the United States, seen by more than 3 million visitors from 100 countries. In addition to being a thriving small town with world-renowned tourist attractions, Canyon was selected in 2002 as a Texas Main Street City. 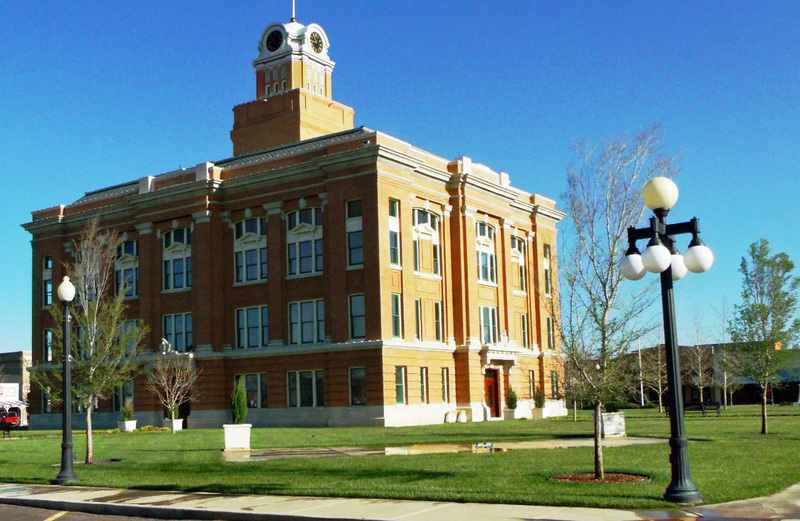 Since becoming an official Main Street community, the historic courthouse square has experienced revitalization with millions of dollars being invested into the properties and new businesses being enticed to the downtown. Canyon started in an area with a history rich in cattle an d ranching. Colonel Charles Goodnight started the first ranch, the JA Ranch, in Northwest Texas in 1876, when he moved his herd from Colorado to Palo Duro Canyon. Goodnight gradually built the ranch to encompass more than one million acres and 100,000 head of cattle. Canyon was founded on Christmas Day 1887, when cattle rancher Lincoln Guy Conner settled on the site. Conner purchased the land from the state of Texas for $3 per acre in 1888. Conner laid out the town site and established his home as the general store and post office. The dream of the Conner's was to have a town of law abiding, religious and educated citizens. Their first act was to decide on a name for the town. Many suggested naming the town after Conner himself but Conner was modest and did not want that. It was then suggested to name the town after the nearby Palo Duro Canyon and Canyon City was formed. As a means of attracting other settlers to Canyon City (the town's original name), Conner offered to donate a town lot to anyone wishing to build a home or business. In 1889 Randall County was formed and Canyon City was chosen as the county seat. In 1898 the arrival of the Pecos and Northern Texas Railway made Canyon City a major shipping point for cattle and cotton and a receiving center for necessities such as coal and lumber. Acres of cattle pens on land donated by Conner, a wagon yard and several saloons accommodated the arrival of freighters and cattlemen. In 1902 Canyon was the biggest shipping point in the United States. By 1904 Canyon City's population had increased to 504. That same year saw the opening of the Stockman's National Bank, later the First National Bank of Canyon. In 1910 the city changed its name to Canyon and West Texas State Normal College (now West Texas A&M University) opened its doors to students. The college was built on land donated by L. G. Conner. Famous artist Georgia O'Keefe taught at WTSNC from 1916 to 1918. Following a drought from 1911 to 1920, Canyon experienced a building boom. A new Santa Fe depot, churches, businesses, houses and schools were built. Streets and highways were paved, street lights installed and natural gas was piped in from Panhandle gas fields. The Panhandle Plains Historical Museum, the largest history museum in Texas, was established in 1932. Today Canyon is a thriving small town with a strong educational system and world renowned tourist attractions. Paul Green's Musical Drama TEXAS started performing in Palo Duro Canyon in 1965 and has since become the most attended outdoor drama in the United States. In 2002, Canyon was selected as a Texas Main Street City. Today, there are twenty-four historical markers in Canyon and the town continues to grow and prosper. For more historical information about Canyon and the Texas Panhandle, please visit these different websites. At West Texas A&M University, we offer our students the WTAMU experience—an opportunity to cultivate lifelong friendships, instill ethics and solidify values while building skills for success. That, coupled with our low tuition and challenging course offerings, makes a degree from WTAMU both attainable and affordable for bright, motivated students regardless of their means. West Texas A&M University is recognized as one of the “Best Colleges in the West” by The Princeton Review. The University offers 58 undergraduate degree programs, 39 master’s degree programs and one Ph.D. program, and many of those academic programs are ranked on U.S. News and World Report’s “America’s Best Colleges List.” Our students learn from top faculty in smart classrooms at both our Canyon campus and the Amarillo Center and enjoy access to a variety of activities that contribute to the WTAMU experience. Those activities include everything from study abroad opportunities and research initiatives to leadership development programs and internships along with more than 100 campus organizations as well as Division II athletics. Plus, more than $150 million in construction, renovations and campus beautification projects over the past 10-15 years have transformed the WTAMU landscape. Our new and improved facilities, including a soon-to-be constructed Agriculture Sciences Complex, support the University’s commitment to excellence and contribute to the WTAMU experience while serving a growing and diverse population of almost 9,500 students representing 48 states, 55 countries and four U.S. territories. The campus is home to the Panhandle-Plains Historical Museum, largest history museum in Texas.